If you want to move up a pay grade, consider moving to one of these high-salary cities for tech professionals. Your city isn’t so bad. You get at least seven weeks of summer a year, most of the good bands tour through town because their buses need to gas up, and there are rumors of a new Dave & Buster’s opening (or at least a knockoff Dirk & Bruno’s). And your tech job pays well enough, so why consider moving? It’s not like you could pull in a higher salary somewhere else. But you could—and you might be surprised just how much higher. Tech salaries are exploding in major metro cities across the US—in some cases, more than doubling the average local income of those outside the technology sector. Even cities not traditionally thought of as “major” are paying out major tech wages. 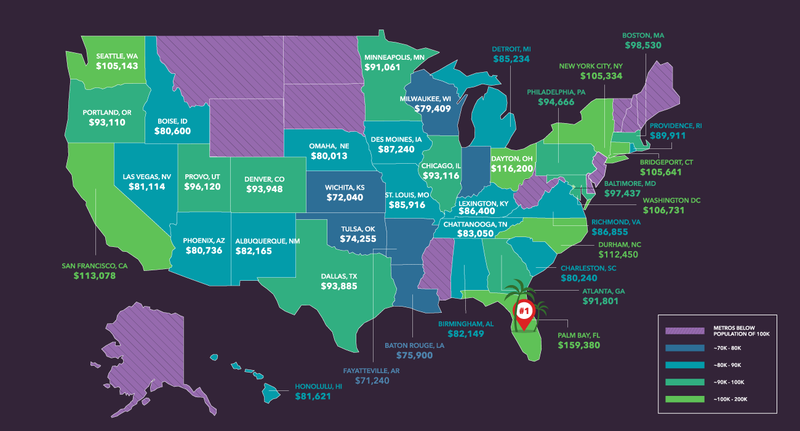 Provo, Utah, is no one’s go-to in urban metropolis trivia, but you’d make over $30,000 a year more there in tech than in any other profession in the state. 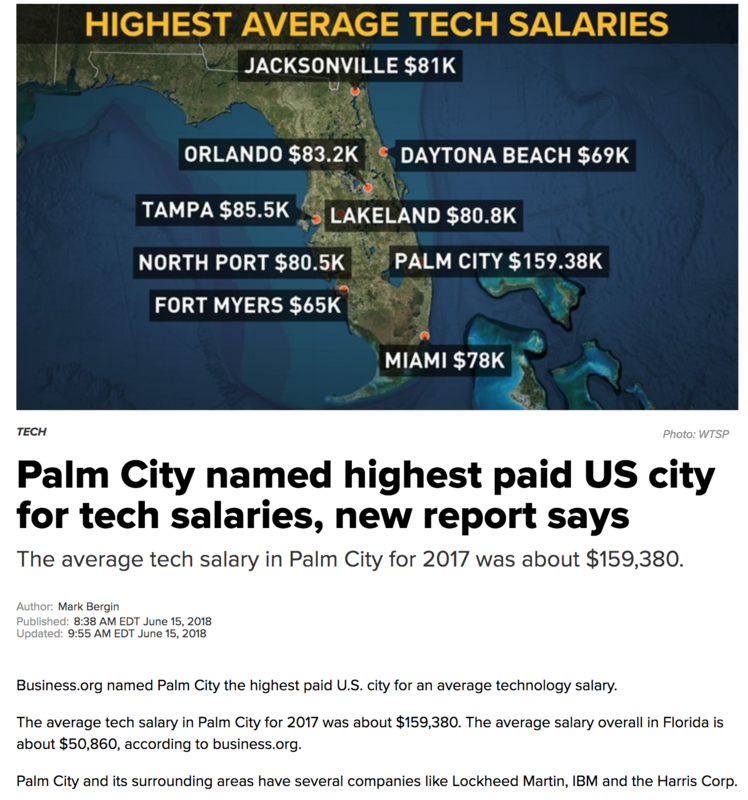 If you think that’s impressive, we have 99 more examples of cities where tech salaries are outpacing state income averages, some by as much as 80%. The tech occupations we factored in include actuaries, research scientists, network architects, network support specialists, programmers, systems analysts, customer support specialists, database administrators, information security analysts, mathematicians, network and computer systems administrators, operations research analysts, software developers, statisticians, and web developers. In the top 10, we found that Washington, DC, had the narrowest gap between tech and non-tech salaries ($106,731 to $75,506), followed closely by Bridgeport, Connecticut ($105,641 to $73,433). Makes sense, as their largest employers are the government and hospitals, respectively—neither one a shrinking industry. On the other end of the spectrum, the bottom 10 also displayed slim differences between tech and non-tech salaries, most notably Stockton, California ($73,440 to $67,739). Aside from that city and a couple of others, most of the bottom 10 also fell within the southern half of the US. While metro costs of living weren’t factored into our research, it should be noted that most of the top cities on this list are not cheap places to live, which might explain the high salaries, as cities like San Francisco and New York City need to offer top pay to attract—and cover the rent of—top talent. Hi There what is the source of this salary information? agree, how were these numbers calculated?